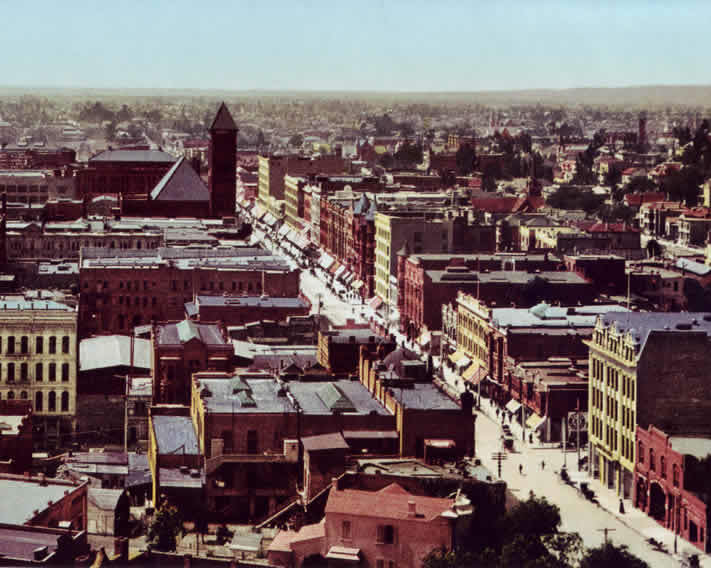 An unusual color photograph of downtown Los Angeles in 1900. The view is looking south down Broadway, not far from where my great-grandparents lived at North Broadway and Bellevue Avenue. The tower visible at the top left is Old City Hall.